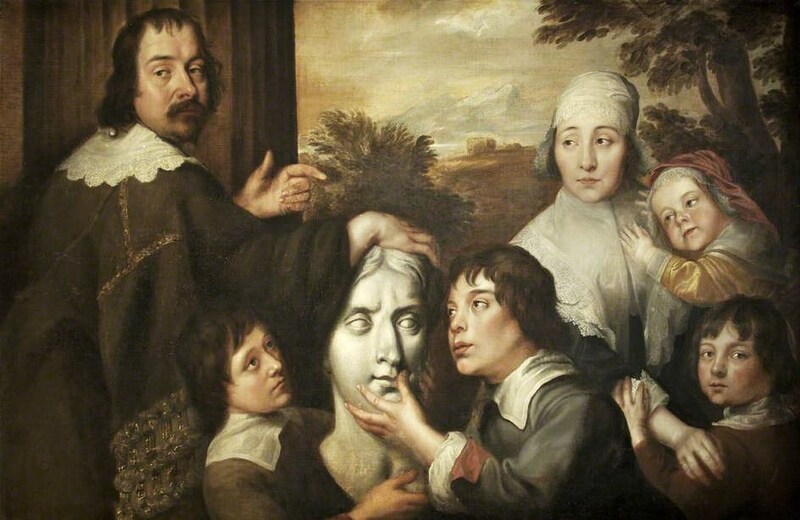 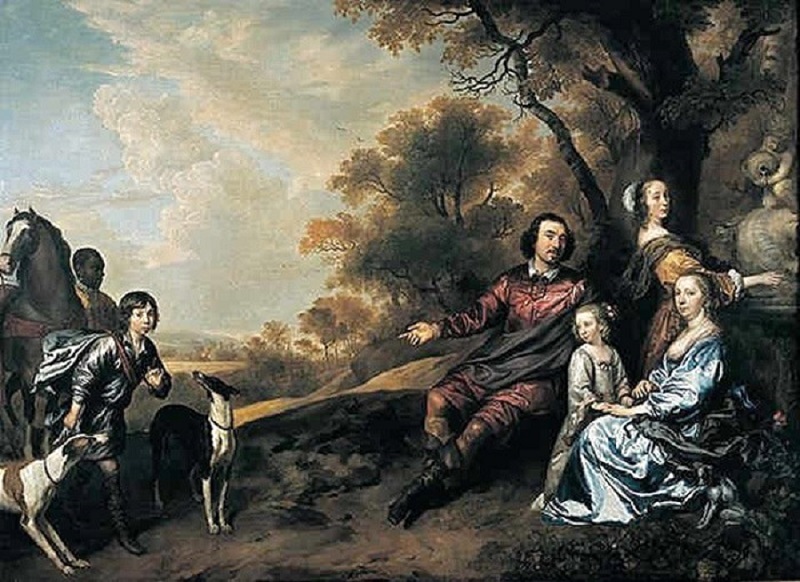 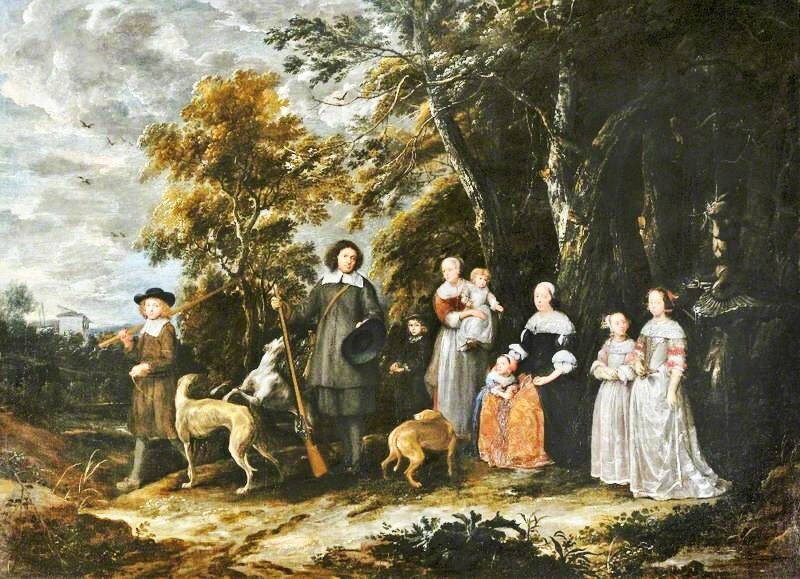 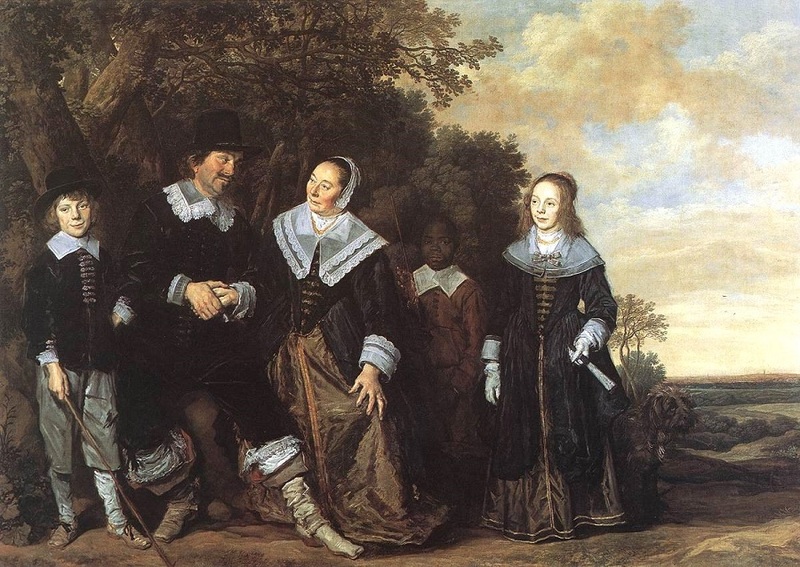 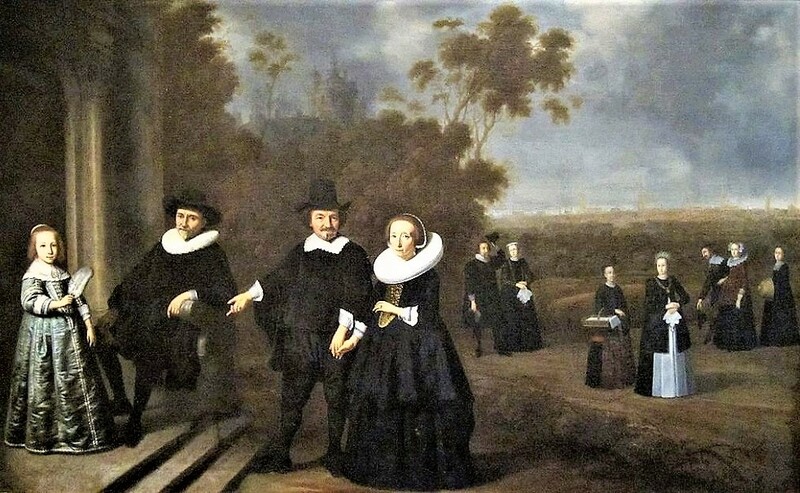 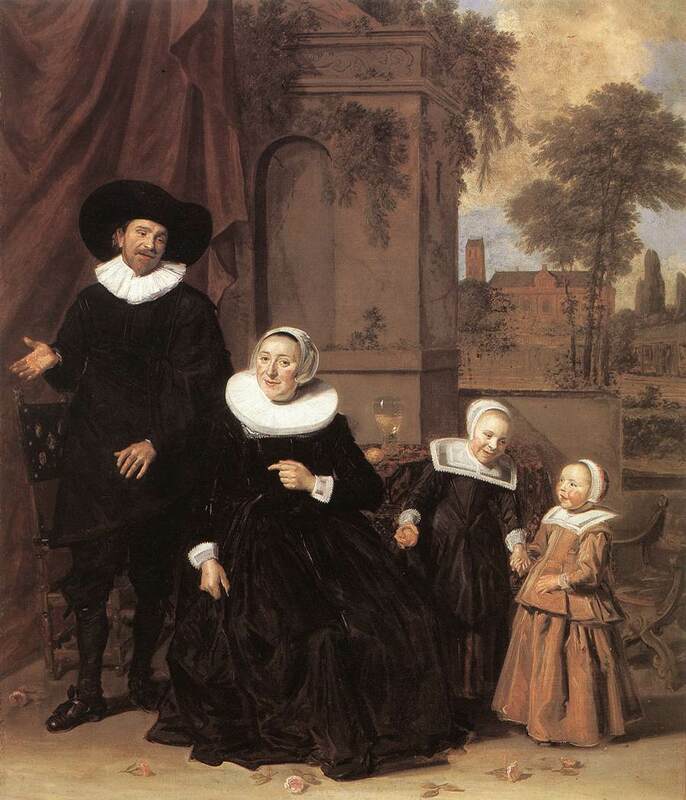 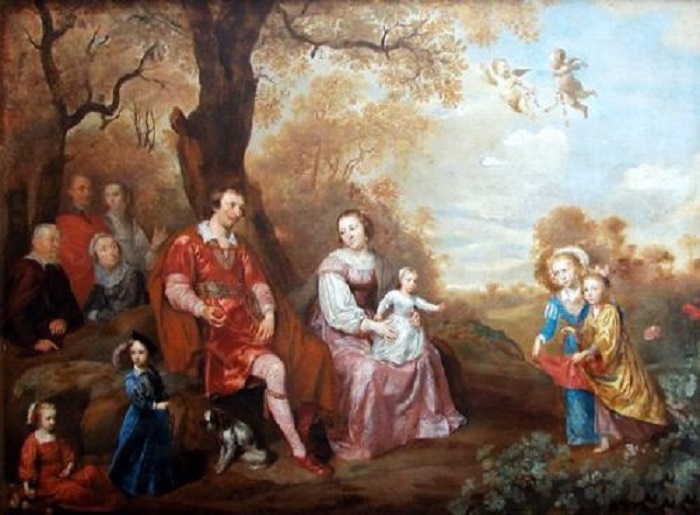 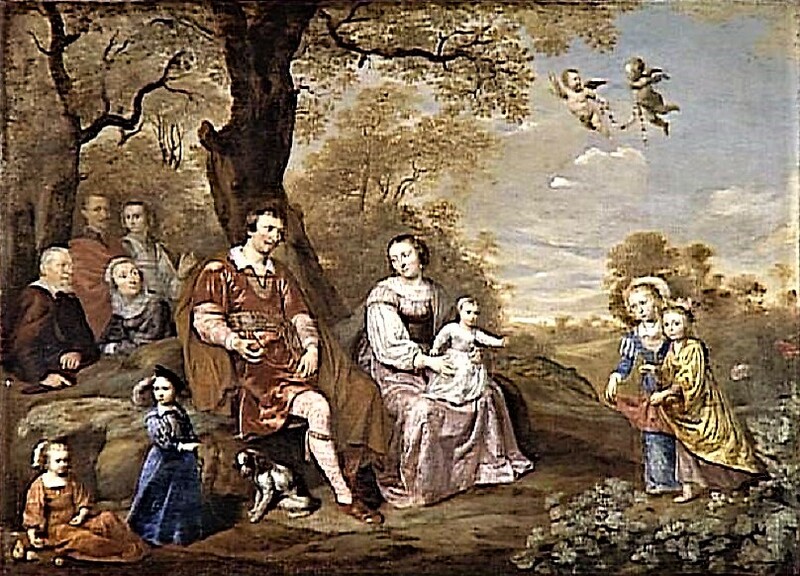 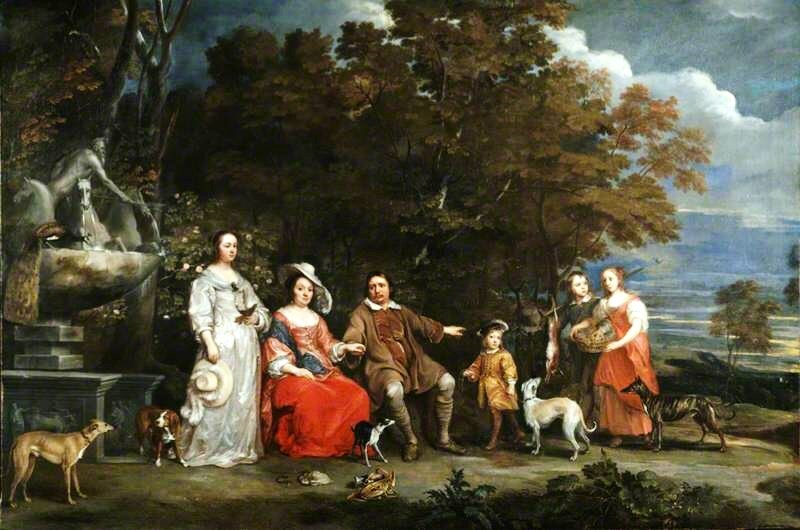 1640 The Burgomaster's Family Extended Dutch family outdoors inviting viewers in. 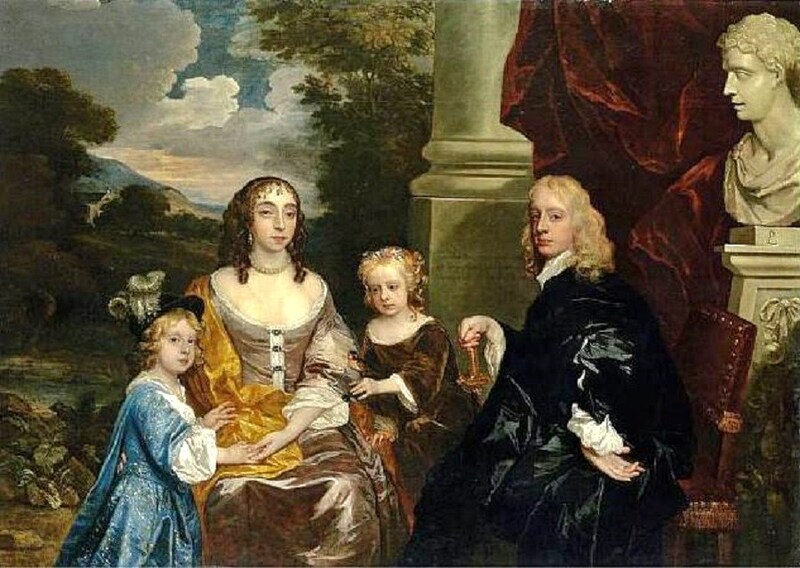 With the arrival of Anthony Van Dyck (1599–1641) at the court of Charles I in 1632, British portraiture took a turn toward the baroque that changed the course of British & colonial American painting in the 17-18C. 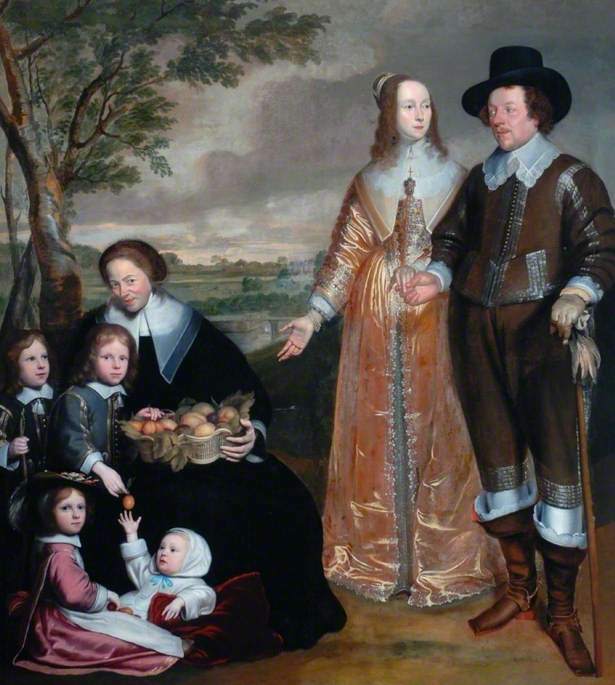 In English portraiture, the Elizabethan style of Nicholas Hilliard (1547–1619) & such contemporaries as Robert Peake the Elder (fl 1576–1626) remained current in England well into the 17C. 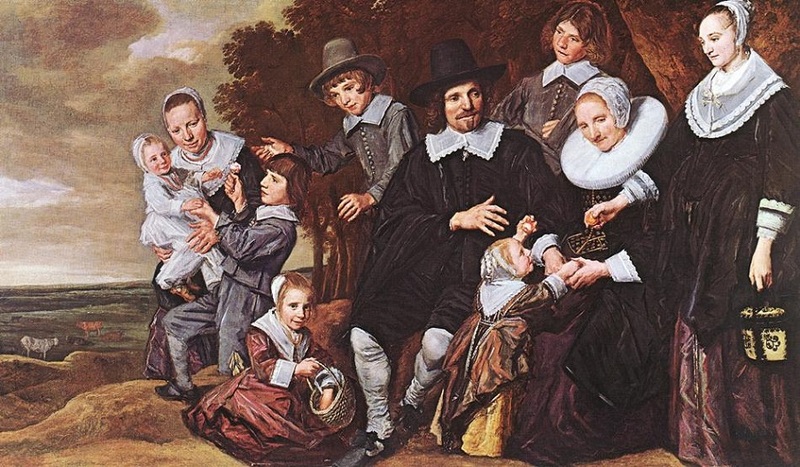 This style, which portrayed children as miniature adults, was common in much of Europe. 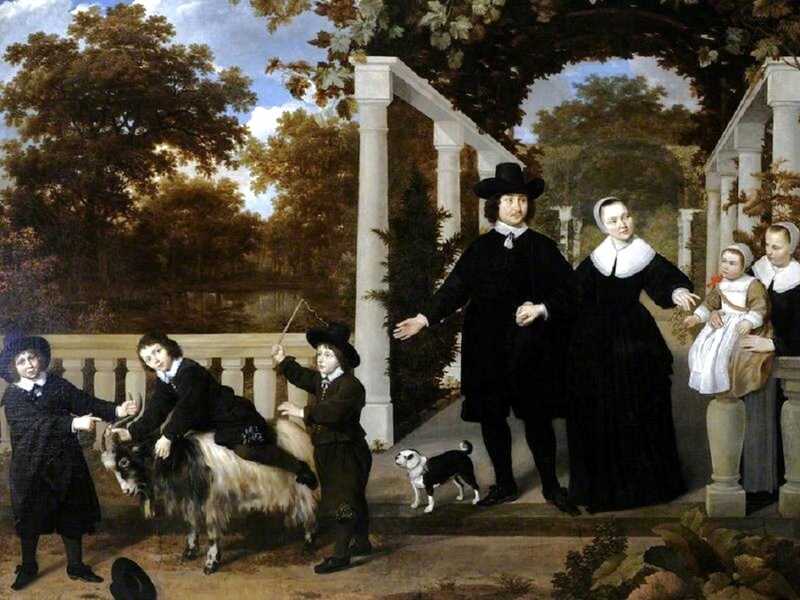 The Elizabethan style had almost been completely replaced in England by the 1670s quickly giving way to a more volumetric style. 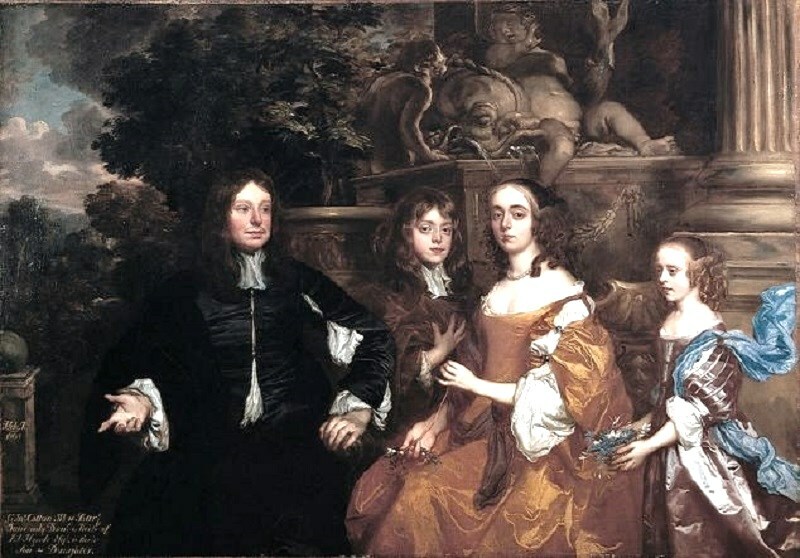 In the British American colonies, this transition was copied through imported engravings after Peter Lely (1617–1680) & Godfrey Kneller (1648–1723). 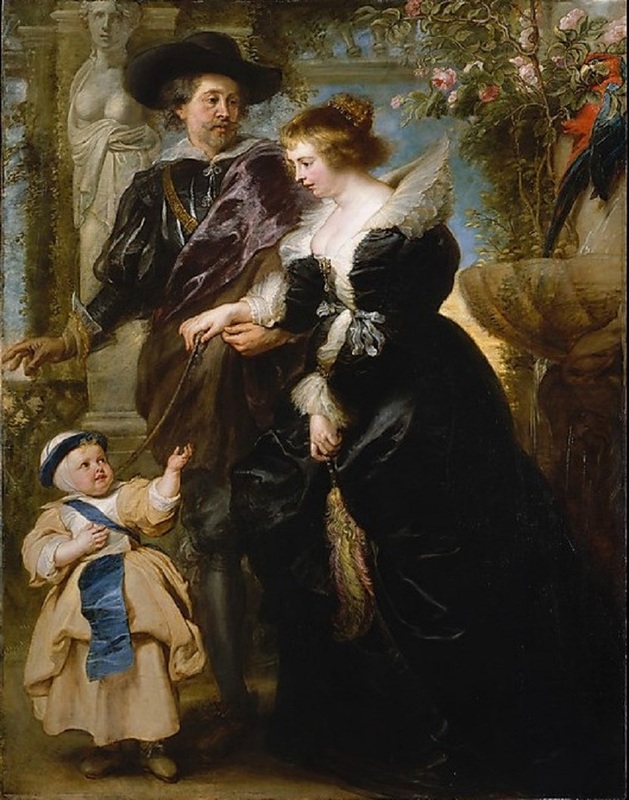 1635 Peter Paul Rubens (Flemish artist, 1577-1640) Rubens, His Wife Helena Fourment (1614–1673), and Their Son Frans (1633–1678) On this garden terrace are beautiful roses, a statue & a fountain.